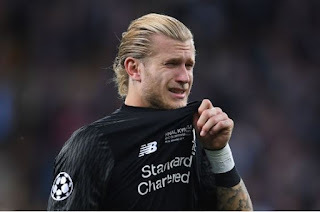 According to SkySports, the Liverpool goalkeeper Loris Karius suffered concussion during the Champions League final against Real Madrid, contributing to his error-strewn performance, doctors in the US have said. Medics from Massachusetts General Hospital in Boston said the German keeper appeared to have “visual spatial dysfunction” which could “affect performance”. “Additional areas of dysfunction persisted,” they added. The German keeper collided with Madrid defender Sergio Ramos during a corner early in the second half, and moments later was at fault for striker Karim Benzema’s goal. The 24-year-old also erred over Madrid’s third goal, failing to deal with Gareth Bale’s long-range shot as the Spanish team ran out 3-1 winners. After the match in Kiev last month, Karius received abuse and death threats, saying the day after that he had not “really slept”. Liverpool’s medical staff were worried Karius may have suffered concussion and arranged a scan while he was on holiday in the US. The hospital has issued a statement on its website. “After carefully reviewing game film and integrating a detailed history – including his reported present and immediate post-contact subjective symptoms – physical examination and objective metrics, we have concluded that Mr Karius sustained a concussion during the match May 26, 2018,” it said. “At the time of our evaluation, Mr Karius’s principal residual symptoms and objective signs suggested that visual spatial dysfunction existed and likely occurred immediately following the event. “Additional symptomatic and objectively noted areas of dysfunction also persisted. “It could be possible that such deficits would affect performance. “I know that I messed it up with the two mistakes and let you all down,” he said.